Field tells the story of his journey coming to terms with the message of Christ in the turbulent and chaotic circumstances of the inner city environment on New York City's lower east side. As Taylor and the church become a part of the New York landscape, Taylor finds their stories becoming intertwined with his to form a tapestry of God's unrelenting grace and mercy. 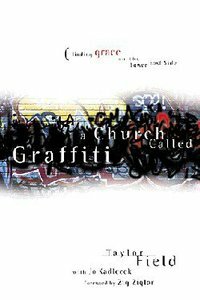 About "A Church Called Graffiti"